Today is International Volunteer Day. This is a chance for charities and volunteers to celebrate their invaluable contributions to the local community, as well as raise awareness of the importance of volunteering and the difference it makes to organisations. Here at St Catherine’s, our volunteers are hugely important to the work that we do and we would simply be unable to continue running our services without them. More than 1,000 people already give their time and expertise across 42 different roles to help make our specialised care truly exceptional. From cheering runners across the finish line to turning shop donations into vital funds or making an unforgettable connection by offering a cup of tea – our volunteers are an incredible bunch. 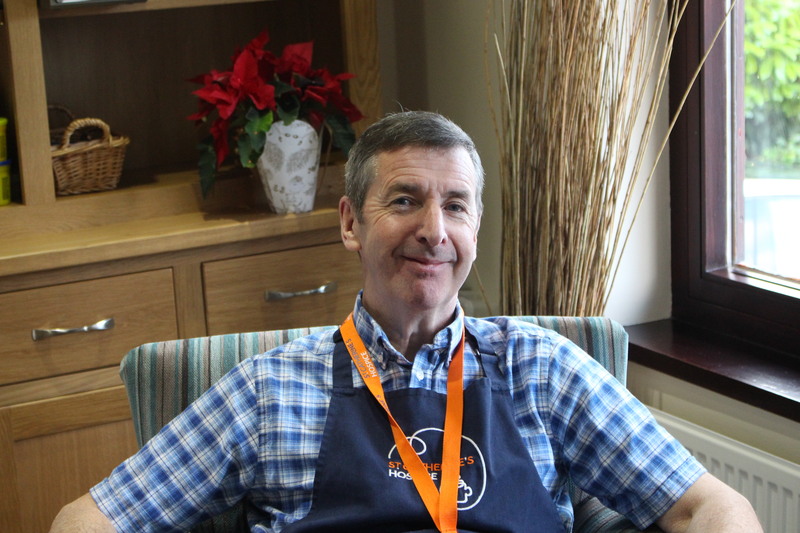 Phil Smith, from Furnace Green, Crawley has been a Volunteer Hospitality Assistant at St Catherine’s Hospice since October 2015. Here, he shares why he is giving up his Christmas Day to support his local hospice. “St Catherine’s is a very special place for me and my four children. My wife Sue was cared for by the hospice and died at St Catherine’s six years ago. During that time, we experienced firsthand the warmth and care of all St Catherine’s staff and volunteers. My family was enveloped by love and the place is very dear to us – We’ll be connected to the hospice forever. 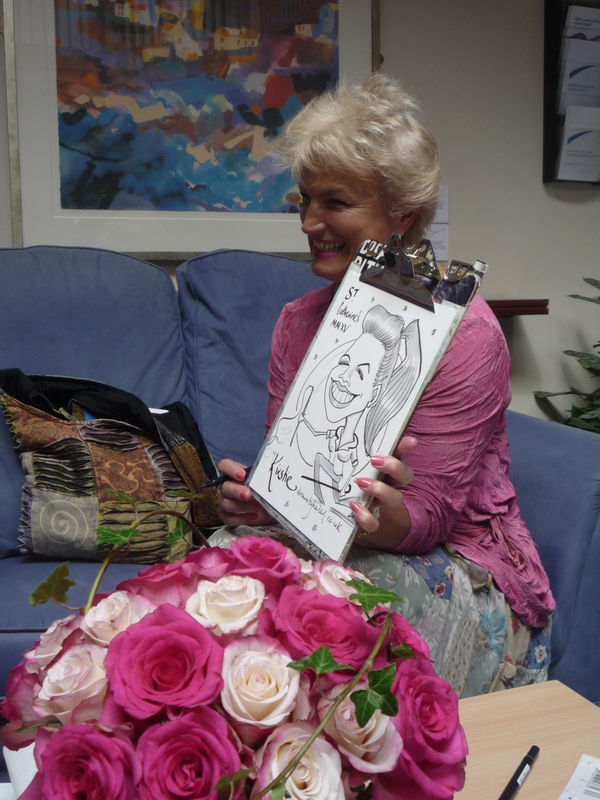 Caterham resident, Helen Pointer, who volunteers at the hospice drawing caricatures for people to keep and treasure, explains what she gains from her unusual volunteering role. “It’s a wonderful experience – I receive as much as I give. It’s a privilege to be let into someone’s life. They tell me their story and I try and capture that through illustration. For that moment, it’s all about them. Any picture is theirs to use. One family said they’d looked through photos (for order of service) but my drawing had caught something in their relative’s face; their story. It’s an absolute honour to know they used it for such an important occasion. 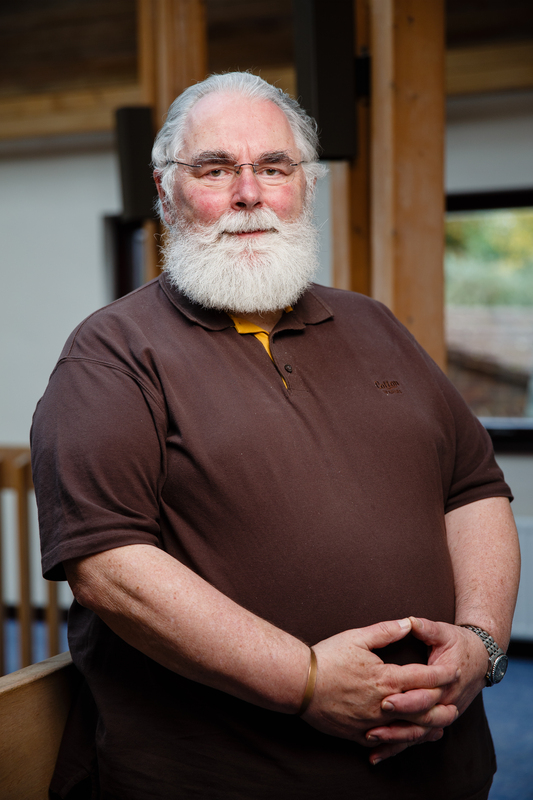 Graham Ellis provides meditation sessions to patients and staff at the hospice. Here, he shares what he gains from volunteering. “I’ve been volunteering at St Catherine’s Hospice for the past four years. I began volunteering after a well loved friend was cared for in another hospice. I was so impressed by the care he received, I got in touch with St Catherine’s to see if I could help by offering meditation to patients, carers and staff. I’m at St Catherine’s three days a week, offering meditation to individual people staying on the wards and providing group meditation in Day Hospice. I’ve recorded meditation CD’s for people to use at home, and also relatives referred via the Patient and Family Support Team. When people tell me the difference meditation has made, by helping them to sleep or feel better, it’s lovely. The empathy and compassion people are shown here makes things easier. Nobody should have to die alone, and thanks to the wonderful support of St Catherine’s, they don’t have to. You also know when relatives are left behind they’ll be supported. Meditation might not take away people’s grief but it’s another tool for them to use. Ellie Davis, 18, from Horsham shares why she gives up her time to volunteer at St Catherine’s Hospice. “I’ve been volunteering as a coffee shop assistant at St Catherine’s Hospice since April 2017. I serve drinks and cakes or sandwiches to patients, their families, friends, and visitors. I enjoy talking to different people and providing them with a good service. St Catherine’s is a really nice place. You’re always around different people, feel part of something special and can see the difference you’re making. Everyone at the hospice is positive and helpful and I’ve been surprised at how much generosity there is with patients and their families. I’m planning to go to university to study medicine as I want to be a doctor so volunteering here gives me valuable experience and has already helped with my university applications. Volunteering doesn’t have to be a huge commitment either. It can be just a few hours that help to give you an idea of what might be right for you. It’s a good use of your time and it feels great! If you would like to find out more about volunteering with your local hospice please visit: www.stch.org.uk/volunteer/ or call the Volunteering Team on 01293 447351.